The share a preview externally, you will have to use a plugin. 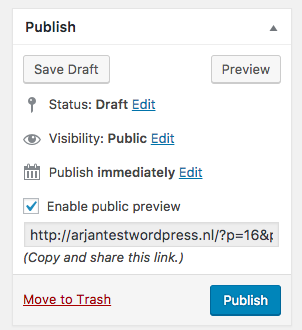 We have great experience with the public-post-preview plugin. After installation we recommend to higher the preview deadline to at least 72 hours, because advertisers usually need some more time to approve your article. 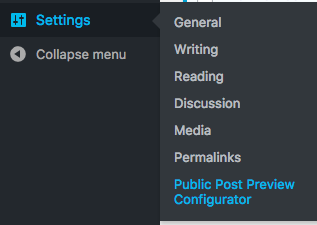 This can be easily done with the public-post-preview-configurator. If you use wordpress.com we recommend to use Google Drive.